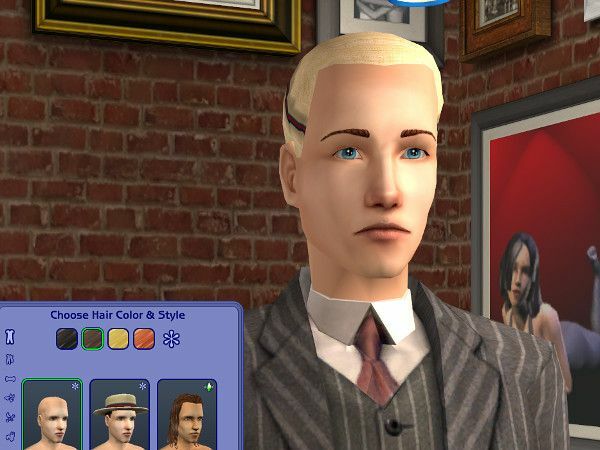 I have searched online and even SimPE-peeked at other maxis hat hair recolors to see if whoever did them knew how to do this, I can't find any info! 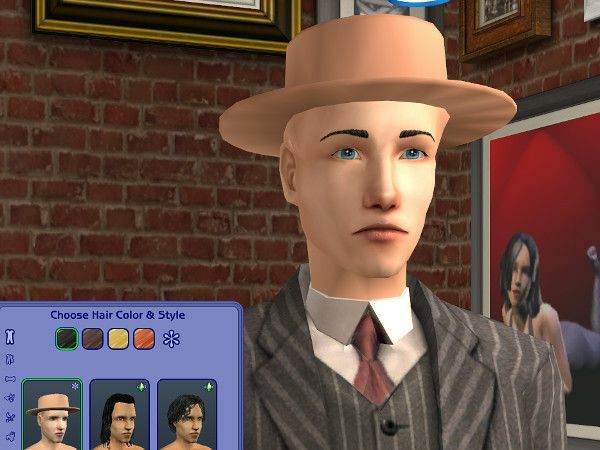 Maybe no one recolors Maxis hat hairs for this very reason? Would using Cat's Hair Binner be part of the problem? I use it to remove toddler-teen and link grey to black (the elder hat hair has the correct texture after removing the property set by the way). Would removing the CASIE_amhairclosecrop before binning them make a difference? Ummm.... yeah. Maxis hat hairs are weird. 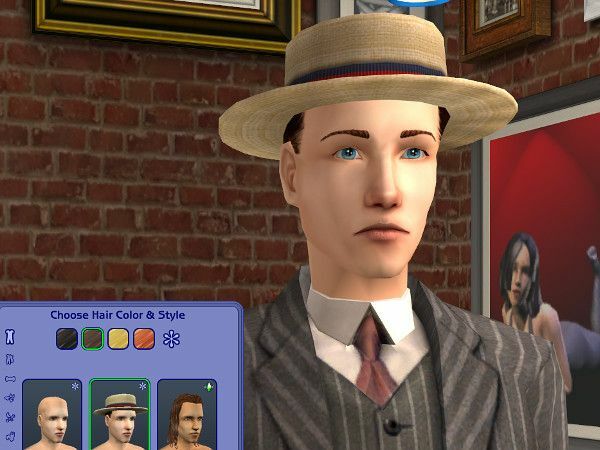 I tried making my own recolour of that hat for testing purposes just now and instead of the swim hair disappearing when I binned it (with the SimPE binner) the hat disappeared instead. Hahahaha yeah. But I think it's either one of two things. Either the hat is looking for a texture you deleted OR the hat is looking for a bumpmap you deleted. Or maybe even both. If so you can fix that in the Material Definition (TXMT). First try deleting the reference to the bumpmap. It's the line called "stdMatNormalMapTextureName" in the Material Definition. Just select that line and press "delete" on the right. Commit and save. See if that fixes anything. If not, try changing which texture the hat is looking for. It's the line called "stdMatBaseTextureName" in the Material Definition. There's a code next to it that refers to the texture. You want to change that code so it matches the code of the proper texture. Look for the proper code in the Texture Image (TXRT) of the right texture. Copy the whole "##0x5f1ea166!0xfb71d642" looking part but leave out the "_txtr" ending, and paste that code into the Material Definition. Commit, save, test. I hope that makes a little bit of sense? It's probably confusing. If you need more clarification or pictures or want me to have a look at the file, just let me know. Ah yes, all trial-and-error-error-error, and sometimes posting questions on MTS or leefish when more help was needed. I also learned stuff in the MTS chat rooms. Your hat texture looks nice BTW. I hope you get it worked out, and if you need more help just ask! FANSEEEEEEEE! It worked first try deleting the bumpmap reference I knew you were a smartie, thank you so much! And thank you for the very special gif (with advanced border) OMG.